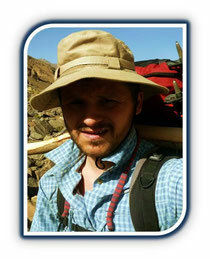 Andreas Schnall - wakhanexpedition2012s Jimdo-Page! Growing up in southern Bavaria, the heart of the German Alps, adventure is part of his genes. From an early age on, exploring the surrounding mountain ranges attracted him very much, not to mention that rock climbing, Alpinism and winter sports is more than a common sport, a custom, in his home region. As a logical step, his passion for nature and mountains led him turn his hobby into a profession as an international forest manager which allows him to combine his ecological awareness and desire to travel in foreign cultures. Furthermore than spending most of his time outdoor in his beloved woods and mountains, his job for an international forestation company gave him the chance to see and to work around the world, from Asia to Latin America. As if his working time in the nature isn’t enough, every holiday was spent on trekking trips from Norway on his 120km trek in Hardangervidda to Iceland on a 200km Trek 10 days, Czech Republic (Sumava Nationalpark) and various other European countries. On his recent trip through Tajikistan, Andreas learned to love Islamic culture with a focus on the Pamir area, combining this with his major love: climbing and mountaineering to extend his altitude experience from the restricted Alps to now 5.058m in the Ishkashim Mountain range.